Ask your child to describe the speed in which the sun moves. Did she reply slowly or quickly? Point out that she most likely chose an adverb to describe the sun's movement. Now, work together to think about other actions you can describe with these descriptive words! Get your students excited about adverbs! 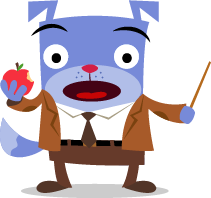 Teaching kids about various types of adverbs, as well as when to use them, will equip them with tools to elevate their language and writing. Choose a fun activity where your fourth graders practice both identifying and writing adverbs. 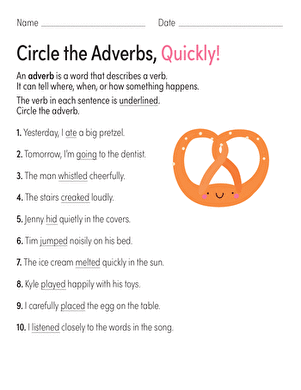 Discover the different kinds of adverbs with this simple activity. Students will use different kinds of adverbs to complete sentences. In this writing exercise, students will learn more about the different kinds of adverbs and come up with a word bank they can refer to later. What are adverbs? 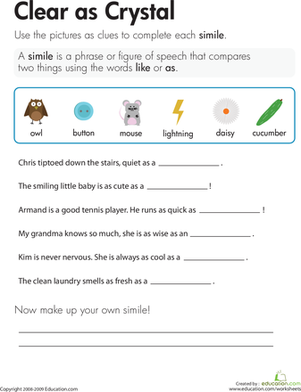 Find out with this parts of speech worksheet for kids! Is your child an adverb buff? Let her test her adverb savvy by challenging her to compose her own sentences from scratch using the adverbs listed. On this second grade reading and writing worksheet, kids carefully, cheerfully, and maybe even quickly circle the adverbs that modify the underlined verbs. Your child is becoming a multiplication expert during this part of the school year. 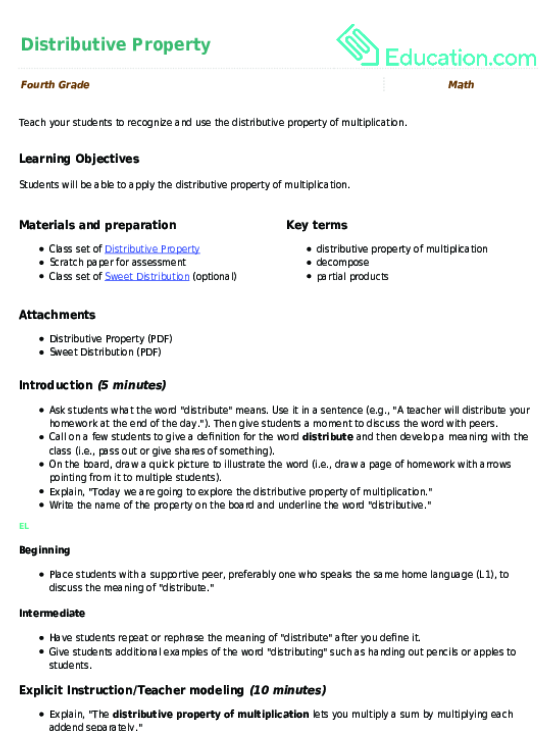 Familiarize them with the properties of multiplication with this set of resources. Your child will respond well to card or dice games that involve multiplication to help them master these skills. Your fourth graders are becoming multiplication experts by this point in the year! 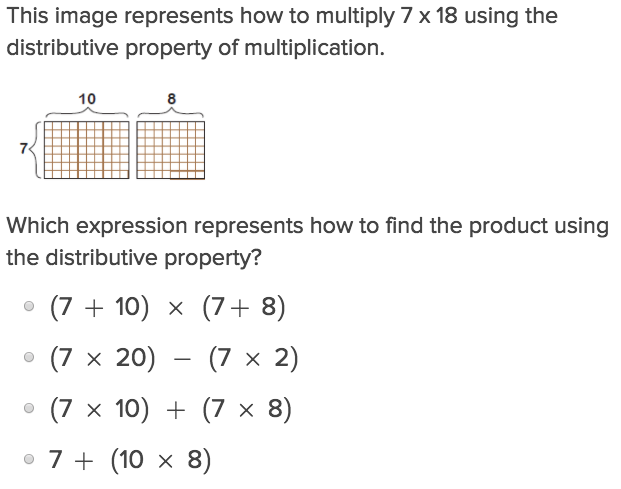 Make sure they are familiar with the properties of multiplication with this set of resources. Play card games and organize multiplication competitions in your class to keep the learning fun. 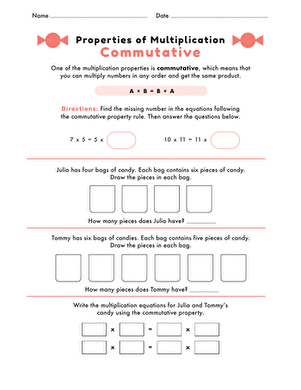 With this worksheet, your students will practice using the distributive property to solve multiplication problems in a real-world context. Review multiplication concepts with your student. 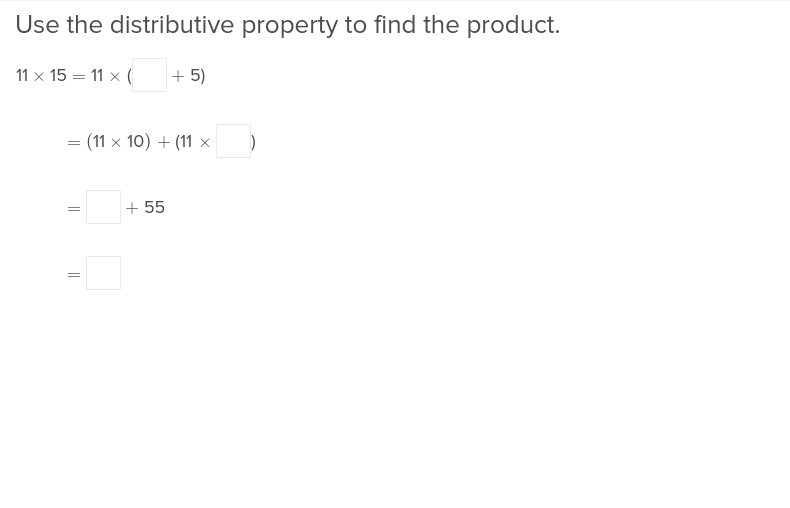 With this worksheet, your students will practice using the distributive property to multiply one and two-digit factors. Be a master of multiplication! This fun math puzzler will bring out your child's inner math ninja. As students grow more comfortable with the order of operations, they’ll need this exercise to introduce them to working with one digit distributive properties. Is your child familiar with the commutative property of multiplication? Help him understand this important math concept with this fill in the blank worksheet. Read a short, nonfiction passage with your child and have a conversation about the text's main idea and interesting vocabulary. Ask your child if there were any context clues that helped them understand some of those tricky words. Comprehending nonfiction texts requires a variety of tools in your young reader's toolbox. For one, your students should be familiar with looking for context clues as a strategy to uncover word meaning. Another great reading strategy is summarizing a text. Choose some engaging activities that reinforce nonfiction reading comprehension. With this organizer, students will be able to find unfamiliar vocabulary as they read and use context clues to determine meaning. Take a historical tour of Spain, home of the Running of the Bulls! Learn all about this Spanish-speaking country's diverse regions, dialects, and traditions. Have your third grader read and learn about black bears while increasing their knowledge about nonfiction text. Students will use context clues as they select the meaning of words. Practice writing nonfiction summaries as you read and learn about an interesting ocean creature. Describe the facts! This lesson teaches your ELs to identify adjectives and their important role as key details in informational texts. 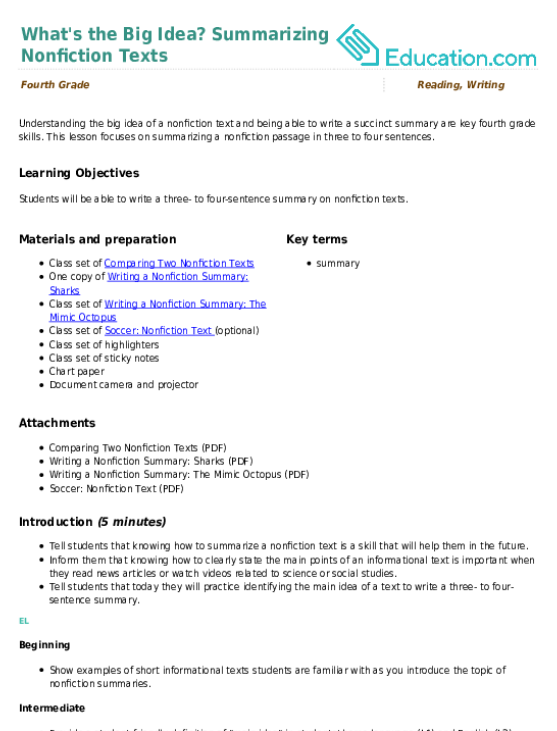 Use it as a stand-alone lesson or as support to the lesson Summarizing Nonfiction Texts. Analogies, or the comparison of two unlike objects, are another effective way to introduce your child to figurative language. Once they are familiar with metaphors, similes and analogies, encourage them to edit and revise their writing pieces by adding in some of these forms of figurative language. Analogies, or the comparison of two unlike objects, are another effective way to introduce your students to figurative language. Once they are familiar with metaphors, similes and analogies, encourage them to edit and revise their writing pieces by adding in some of these forms of figurative language. 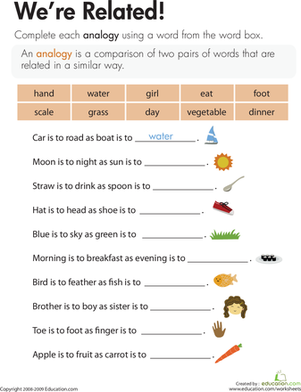 This analogies worksheet helps children compare two unlike things. 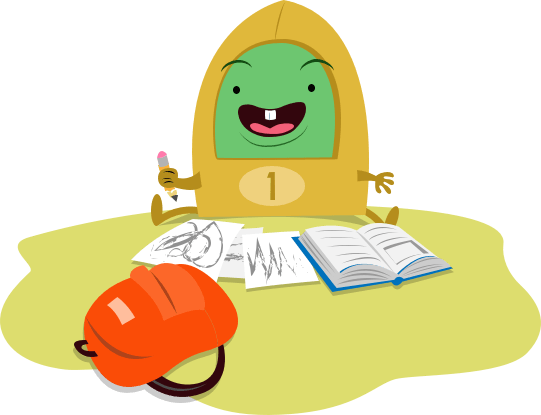 Try our analogies worksheet with your third grader to strengthen reading and writing skills. Can you finish the analogy? 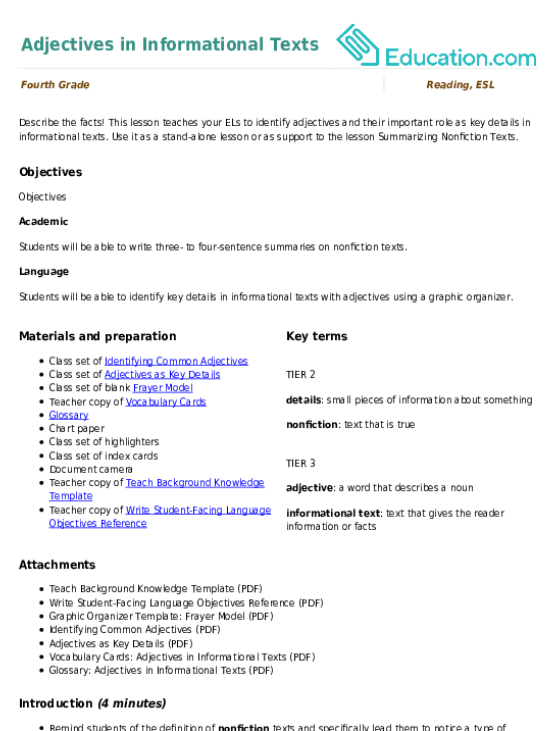 Use this introductory worksheet to learn how to compare similar things using analogy.